One way to consider the relationship between faith and good works is to try and construct a maths equation. 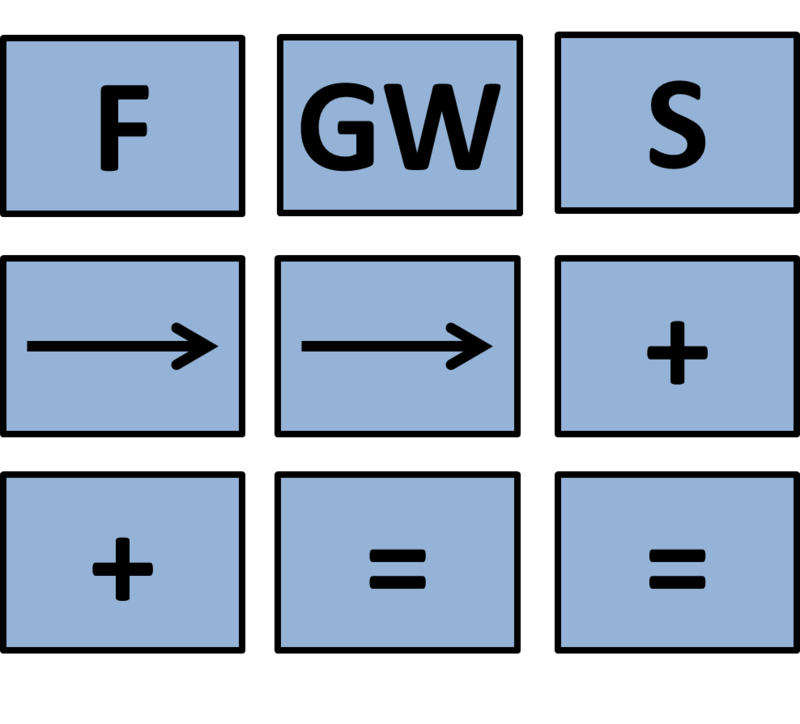 Each card can be used to construct the formula. FAITH plus GOOD WORKS leads to SALVATION. The problem with this equation is that the Bible explicitly states that we are saved by faith alone: “It is by grace you have been saved, through faith—and this is not from yourselves, it is the gift of God— not by works, so that no one can boast” (Eph 2:8-9). Although this is correct, it doesn’t really give the full story. The Bible goes onto say that once we are saved, we will find that we have a desire to do good works: “For we are God’s handiwork, created in Christ Jesus to do good works, which God prepared in advance for us to do” (Eph 2:10). 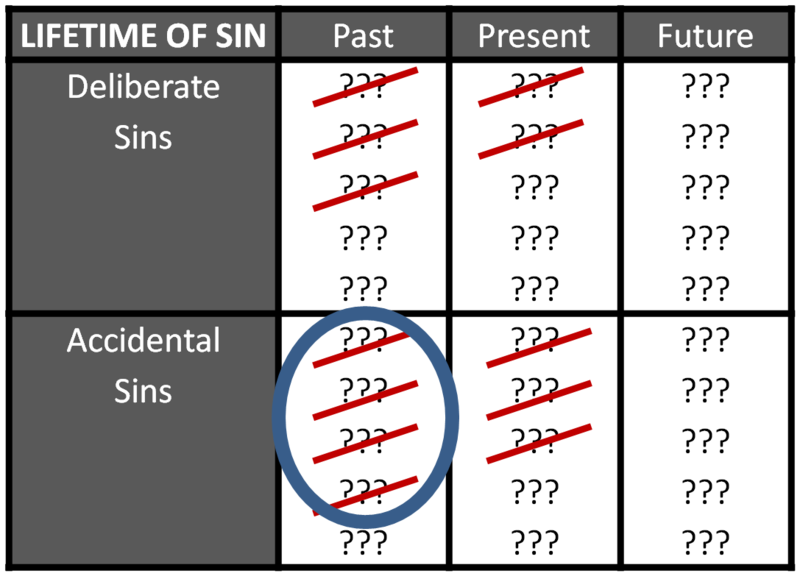 Obviously there will be lots of sins from your past that you’ve forgotten you committed. Obviously it’s impossible to predict what sins you are going to commit in the future. And obviously this table would not be large enough. But for the sake of the activity, let’s imagine that you were able to fill in the table accurately. Obviously there will still be many sins not crossed out. Some remain unconfessed because you forgot you committed them. Some remain unconfessed because you did not even realize they were sins. And some remain unconfessed simply because you did not find the time. But whatever the reason, all of us live with unconfessed sin on our record. Many people would only place a circle around their past, accidental, confessed sins. 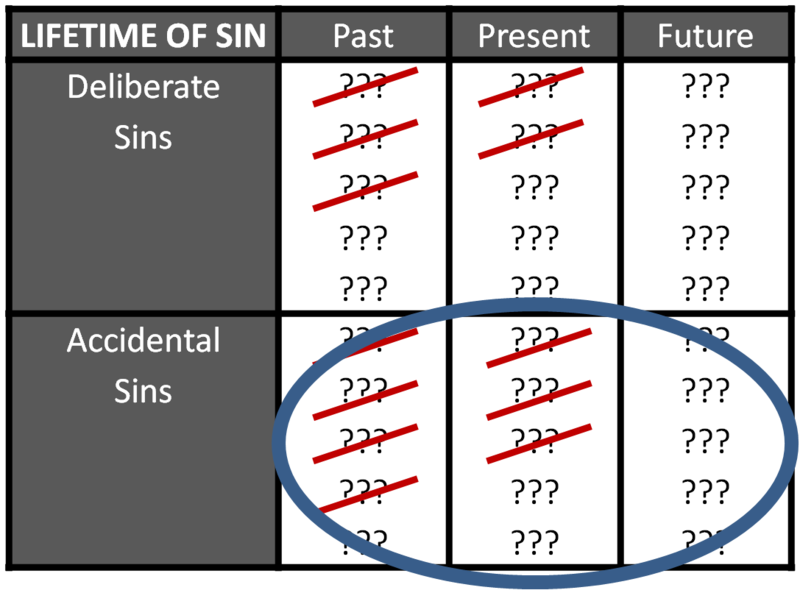 Others would place a circle around all their past, present and future accidental sins. 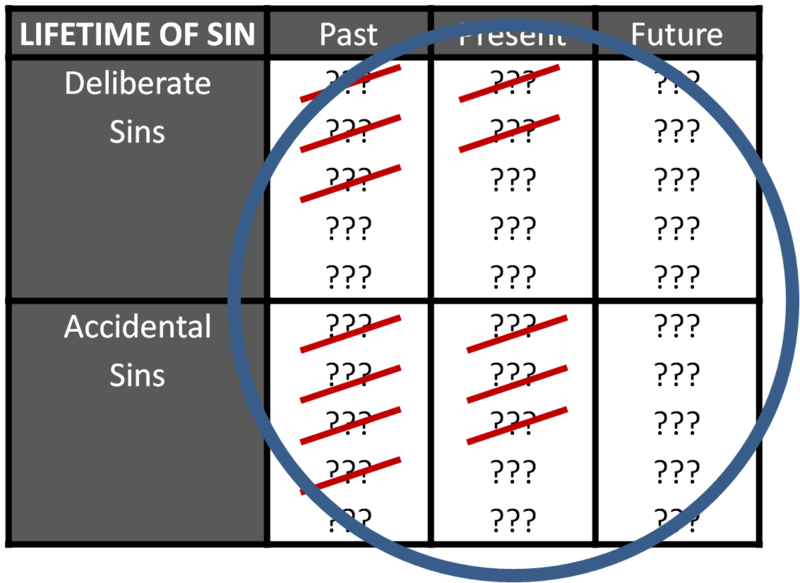 Some would place a circle around all their past, present, future, deliberate & accidental sins. If ‘Possibilitiy #1’ is correct, then no one would make it to heaven. If ‘Possibility #2’ is correct, it also means that no one would make it to heaven because everybody deliberately sins. 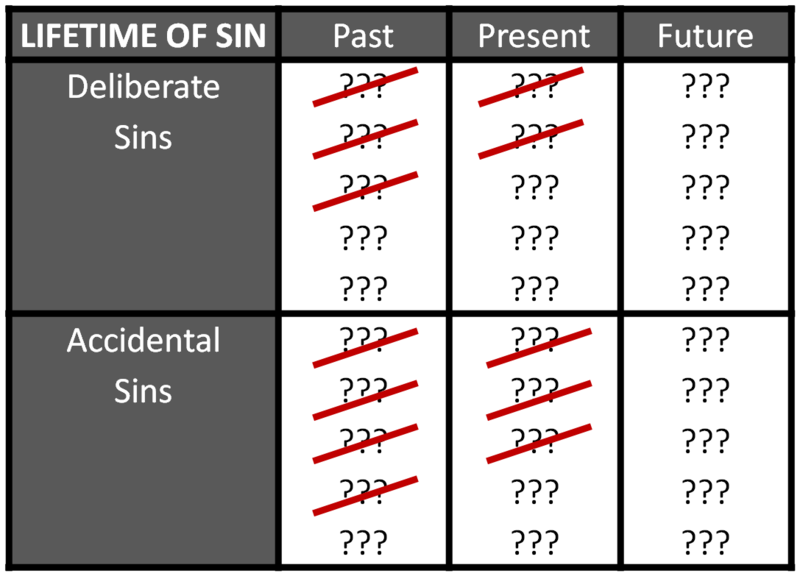 Despite what some people might think, nearly all sin is deliberate. 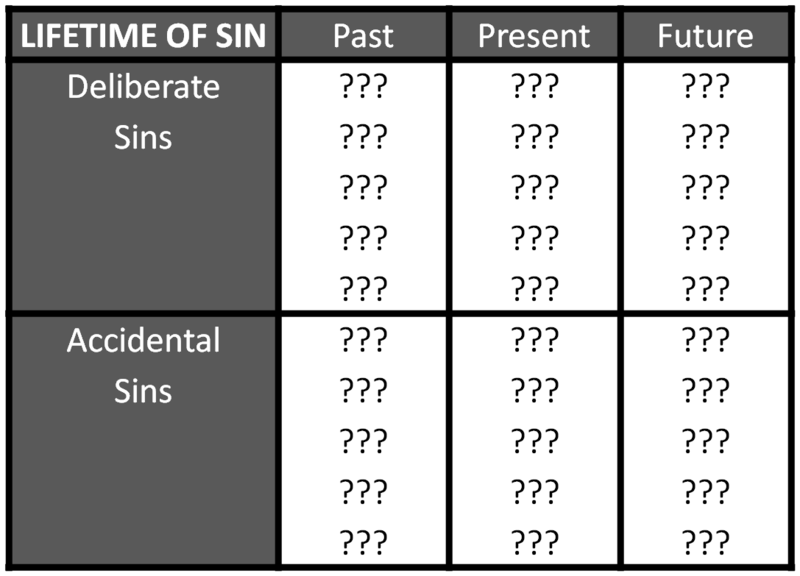 We sin because we have a sinful nature which loves sin and craves sin. Therefore, the only option that makes any sense is ‘Possibility #3’. Jesus died on the cross to pay for sin in full. He wants us to be sure that we are forgiven, sure that we are going to heaven and sure that we have escaped God’s condemnation. This can only happen if Jesus has paid for all our past, present, future, accidental & deliberate sin. 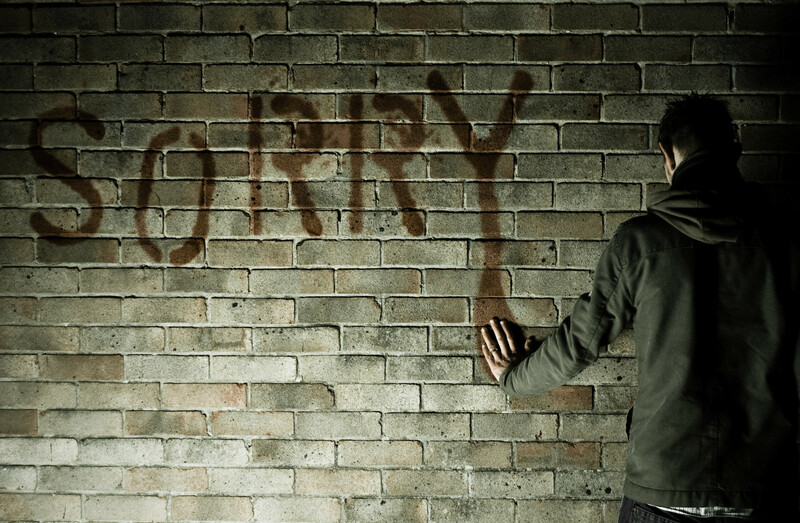 The Bible teaches that we are not forgiven because we avoid deliberate sin, or because we confess our sin. But rather we are forgiven if we place our life and eternity in Jesus hands, trusting Him to pay for our sin in full.